ENGLAND won the 2018 Men’s Home Internationals beating IRELAND 9 – 6 in today’s championship match. In the ENGLAND v. IRELAND match today the foursomes were shared 2.5 – 2.5 but in the afternoon England pulled away with some impressive singles victories. The highlights were Andrew WILSON’s 7&6 win over the previously unbeaten Conor PURCELL and Mitch WAITE’s 2 Holes win over Robin DAWSON, both of which set the foundation for their team to build on. David HAGUE (ENG) and Tiarnan MCLARNON (IRE) both finished the tournament with 100% records, winning all 6 of their games. Tom PLUMB (ENG) was also unbeaten, winning four of his games and halving two of his foursomes. Host nation WALES once again fell the wrong side of the thin line that sometimes separates winning and losing. Today Scotland edged them out 8 – 7. Scotland won the foursomes 4 -1 in the morning but were made to work hard for the additional four single wins they needed in the afternoon. Whilst it was tough going for SCOTLAND and WALES for most of the week it was possible for some of their individuals to shine. Euan WALKER was outstanding for Scotland winning five of his six games. Likewise Paddy MULLINS did well for Wales and can be particularly pleased with his two singles wins. – click the match score to see the individual games and the game score to view the hole by hole scores. IRELAND beat WALES 11.5 – 5.5 on Day 2 of the Men’s Home Internationals at Conwy Golf Club. The morning foursomes went the way of the Irish 3.5 – 1.5 albeit the Robbie CANNON / JAMES SUGRUE pairing needed a birdie on the 18th to secure a half in their match so the overall series scoreline could have been closer. Ireland won the singles 6 – 4 with Conor PURCELL, Caolan RAFFERTY and Peter O’KEEFFE (all 4&3) enjoying their biggest wins. However, the best performance of this match arguably fell to Welshman Jake HAPGOOD. He beat in form Robin DAWSON 4&3 with both players blitzing Conwy’s back nine. Jake recorded four birdies and two eagles between the 7th and 15th holes to unsurprisingly take the game. In the second match of Day 2 ENGLAND narrowly beat SCOTLAND 8 – 7. After the morning foursomes, which England won 4 – 1, it appeared the Scots could be in for another heavy defeat. However, Scotland showed great heart to run out 6 – 4 winners of the singles series. Ryan LUMSDEN, Euan WALKER, Kieran CANTLEY, Stephen RODGER, Jeff WRIGHT and James WILSON were all victorious in the afternoon. At the end of the day England won the match and that’s all that matters – unless like last year the two leading nations draw again ! The four single wins they enjoyed were all comprehensive and as such after their dominant foursomes performance there was never really a feeing that an upset might be in the air. IRELAND beat SCOTLAND 11.5 – 3.5 in the opening game of the 2018 Men’s Home Internationals at Conwy Golf Club. Ireland won the morning foursomes 4 – 1. Most of the matches tipping their way due to some exceptional play on the back nine by their four final pairings. Scotland’s Euan MCINTOSH and Ryan LUMSDEN provided the only resistance in game 1. The Irish carried their momentum into the afternoon series too winning the singles 7.5 – 2.5. Robin DAWSON (5&3), Jonathan YATES (5&4) and Tiarnon MCLARNON (4&3) enjoyed the biggest wins. ENGLAND overcame a stubborn WALES 11.5 – 3.5 in the second match on Day 1. As you can see below the games were generally closer than in match 1 and the margin of victory somewhat flatters England who were made to work hard for many of their points. The morning foursomes were halved 2.5 – 2.5 with Welsh pairing Matt ROBERTS and Paddy MULLINS enjoying the biggest victory of the series, 5&3. ENGLAND composed themselves in the afternoon and in the end won nine of the ten singles. Ben JONES won his match 4&3 but otherwise the games were tight affairs. Paddy MULLINS maintained his unbeaten personal record by recording the sole singles win for the hosts. The 2018 Men’s Home Internationals will be contested at Conwy Golf Club in Wales between 12th and 14th September. IRELAND will travel to North Wales hoping to win the Raymond Trophy for a fifth consecutive year. The four national golf unions have selected the following players to represent their countries this year. I have also included the current Team (total) and Individual Scratch Players World Amateur Rankings (SPWAR) below. Just 14 of the 44 players competed last year at Moortown. England have 8 new players in their 2018 line up, Ireland 6, Scotland 9 and Wales 7. I think ENGLAND have got to start as slight favourites this year but I certainly wouldn’t bet against IRELAND making it five in a row. Founded in 1890 the Conwy (Caernarvonshire) Golf Club is the third oldest club in Wales. The course was originally laid out by Jack Harris with more recent alterations completed by Frank Pennink. One of the best links courses in Great Britain it has hosted many amateur and professional tournaments in the past. It’s next big appointment is the Curtis Cup match which it will stage in 2020. The courses measures 6,936 yards from the Blue Championship tees, playing to a par of 72. It is relatively flat with it’s exposed coastal position meaning the prevailing westerly wind is always a major factor particularly as the design has holes going in all directions. IRELAND won the 2017 Men’s Home Internationals at Moortown Golf Club in Leeds. They secured the Raymond Trophy after halving the deciding match with ENGLAND 7.5 – 7.5. This was good enough for the Irish to pip the home nation by a half point in total match points earned, 26.5 against 26.0. The win was a record breaking fourth consecutive victory in the event for the men in green. WALES beat SCOTLAND 9.5 – 5.5 on the final day to consign the Scots to the wooden spoon. Caolan RAFFERTY (IRE) and Josh HILLEARD (ENG) delivered the best individual records during the week, both winning five of their six games. DENMARK won the Men’s World Amateur Team Championship at Carton House in Ireland with a record 541 (-39) team score. The Danes produced a -13 team score in the final round which was played on the O’Meara Course. European Amateur champion Nicolai HOJGAARD was their star man producing a 66 (-7) right on cue. This was Denmark’s first victory in the Championship. Their previous best result was second in Argentina in 2010. The UNITED STATES finished 2nd paying the penalty for their poor first day. In the final analysis they found themselves coming up 1-shot short on 542 (-38) after a -11 team score today. SPAIN were third on 544 (-36) two shots further back. Alejandro DEL RAY continued his fine play this week with a 65 (-8) to help the Spaniards finish the day with a -9 team score. ENGLAND recorded the second best team score of the day with a -12. This strong finish lifted them up to 8th on 549 (-31). MATTHEW JORDAN left the amateur game in style shooting a bogey-free 65 (-8), the joint low round of the day. Matthew is set to make his pro debut in the KLM Open in The Netherlands next week. IRELAND finished tied 10th on 553 (-27) after a good -9 team score on the final day. John MURPHY 68 (-5) and Robin DAWSON 69 (-4) contributed the Irish scores. SCOTLAND also finished the Championship well with a -8 team score in Round 4. Sandy SCOTT doing the main damage today with a 67 (-6). The Scottish total of 554 (-26) was good enough for tied 12th. WALES finished on 560 (-20) for a tied 18th result. Tom WILLIAMS 69 (-4) led the Welsh to a -7 team score on the final day. Spain’s Alejandro DEL RAY was the low individual with a superb -23 final score. It was a bit harsh on Japan’s Takumi KANAYA who did little wrong today (67 -6) but ended up second best on -22. Robin DAWSON and Gian-Marco PETROZZI (-14) both finished tied 13th to share low GB&I honours. Matthew JORDAN, Sandy SCOTT and Ryan LUMSDEN (-12) were a couple of shots further back. Dawson and Petrozzi will both be turning Pro in the next few weeks ahead of competing in a European Tour Qualifying Stage 1 event. NEW ZEALAND showed no nerves at all on Day 3 extending their lead over the field to 3-shots. Denzel IEREMIA showed his 66 on the Montgomerie yesterday was no fluke by following it up with a 65 (-7) today. SPAIN, UNITED STATES and ITALY matched the leaders with a -10 team score in Round 3. With THAILAND and DENMARK still in the mix we now have five teams within 4-shots of New Zealand. A final day shoot out therefore seems assured. ENGLAND (-19) moved into 11th after posting their best team score of the week so far; a -7 with Gian-Marco PETROZZI once again delivering the low card. Petrozzi’s 67 today took him to -12 for the Championship. He is now the leading GB&I individual with just 18 holes to play. IRELAND and SCOTLAND (-18) are now tied 12th. Ireland fell down the rankings with a disappointing +1 team score in Round 3. Conor PURCELL’S 71 (-1) was the best score they could produce. On the other hand Scotland continue to rise; Sandy SCOTT came to the party in Round 3 and his 67 (-5) helped them move up another 5 places on the leaderboard. WALES (-13) had a steady day with Ben CHAMBERLAIN’S 70 leading them to a -2 team score. They will start the final round in tied 20th place. A strong finish to their rounds on the Montgomerie Course by Daniel HILLIER 65 (-7) and Denzel IEREMIA 66 (-6) helped NEW ZEALAND rise to the top of the Men’s World Amateur Team Championship leaderboard on Day 2. New Zealand’s 270 (-20) total has given them a 1-shot lead over DENMARK, IRELAND and THAILAND, who are all tied for 2nd place. THAILAND enjoyed a superb day on the Montgomerie Course producing a 131 (-13) score which catapulted them up into 2nd place on 271 (-19). Sadom KAEWKANJANA contributed a 65 (-7) and Witchayanon CHOTHIRUNRUNGRUENG a 66 (-6). The Day 1 leaders, DENMARK, delivered an entirely satisfactory 137 (-8) score on the O’Meara Course but unfortunately it was a day when many of their peers were going even lower. John AXELSEN 69 (-4) again led the way with the HOJGAARD twins, Nicolai and Rasmus, both offering up 70’s (-3). Home team IRELAND enjoyed another strong team performance in Round 2, producing a good 137 (-9) score on the O’Meara Course. Robin DAWSON, who is still to record a bogey at the Championship, shot a 68 (-5) today and he was well supported by Conor PURCELL who had a 69 (-4). CANADA (-13 O’Meara), UNITED STATES (-13 O’Meara), SPAIN (-11 Montgomerie), ITALY (-13 O’Meara), SWEDEN (-11 Montgomerie), AUSTRIA (-10 O’Meara) and GERMANY (-12 O’Meara) all managed ‘double figure’ days to move into the Top 15 by the end of play. Italy’s Stefano MAZZOLI had the low round of the day on the O’Meara Course with a 64 (-9). A great bounce back from a difficult day on the Montgomerie yesterday. He was 15 shots better today and amazingly -9 after 10 holes of his round. Spain’s Alejandro DEL RAY also a shot a 64 (-8) on the Montgomerie which was the best of the day on this course. ENGLAND, one of the last group’s out on the Montgomerie Course, battled hard for a second successive -6 score. Gian-Marco PETROZZI shot a 68 (-4) to help lead the English team into tied 12th place. WALES followed up yesterday’s good start with an even better day on the Montgomerie Course. Jake HAPGOOD’S 68 (-4) and Tom WILLIAMS’ 70 (-2) left the Principality on 279 -11 for the Championship and tied 14th. SCOTLAND also enjoyed an excellent day. Their 136 (-10) score, thanks to Ryan LUMSDEN’S 67 (-6) and Euan WALKER’S 69 (-4) on the O’Meara moved them through the field into a respectable tied 17th. SOUTH AFRICA’S Championship continues to go from bad to worse. Today Malcom MITCHELL, their reserve fell ill and was unable to make his tee time. Then playing in the morning, in the worst of the day’s weather, their two remaining players Matt SAULEZ and Wilco NIENABER were only able to manage a 75 and 76 on the O’Meara Course. A 151 (+5) day took them to 294 (+4) in total and a hugely disappointing 46th place. DENMARK lead the Men’s World Amateur Team Championship (WATC) at the end of Round 1. Rounds of 64 (-8) and 68 (-4) on the tougher Montgomerie Course from John AXELSEN and Rasmus HOJGAARD respectively helped the Danes post an impressive 132 (-12) score. The home nation IRELAND, who were also playing on the Montgomerie, are second on 134 (-10). Robin DAWSON shot a bogey free 65 (-7) with encouragingly both John MURPHY and Conor PURCELL backing him up with 69’s (-3). INDIA and SWITZERLAND are a surprise third on 137 (-9), albeit their scores were both compiled on the O’Meara Course. India’s star man Rayhan THOMAS shot a best of the day 64 (-9) on the easier par 73 track. Switzerland’s Perry COHEN produced a 65 (-8) to underpin his country’s total score. ENGLAND, who were also on the O’Meara today, finished on 140 (-6) and are tied 7th. Gian-Marco PETROZZI 70 (-3) and Mitch WAITE 70 (-3) contributed their two scores. WALES have made an encouraging start to the Championship too. Their 141 (-5) total on the O’Meara sees them lying in tied 12th place. Ben CHAMBERLAIN 69 (-4) and Jake HAPGOOD 72 (-1) put their scores on the board. SCOTLAND 144 (Ev) are tied 34th. On a steady day for the Scots Ryan LUMSDEN shot 71 (-1) whilst Sandy SCOTT and Euan WALKER contributed hard fought matching 73’s (+1). Two of this year’s favourites, the U.S.A. 140 M (-4) and AUSTRALIA 141 M (-3), have work to do from tied 19th and tied 23rd respectively at the end of Day 1. There is of course plenty of time left for both of them to catch the early leaders. SOUTH AFRICA 143 M (-1) are tied 30th. Their day got off to a bad start when Jovan REBULA, the reigning Amateur champion, was forced to withdrawal with a back injury before play had started. He was replaced by travelling reserve Malcom MITCHELL. All of the players and their teams will move onto the other course, i.e. the one they haven’t played today, for tomorrow’s second round. The 31st Men’s World Amateur Team Championship (WATC) starts tomorrow at the Carton House resort in County Kildare, Ireland. The WATC is a biennial international amateur golf competition run by the International Golf Federation (IGF), formerly known as the World Amateur Golf Council. The IGF comprises 151 national governing bodies of golf in 146 countries and 22 international professional tours. It is recognised by the International Olympic Committee as the body responsible for golf and as such, in addition to the Men’s and Women’s WATC’s it also organises the golf competitions in both the Olympics and Youth Olympics. The competition has in recent years moved by rotation around the world taking in Asia-Pacific, the Americas and Europe-Africa in turn. The first WATC took place in 1958 and was played over the Old Course at St. Andrews. Bobby Jones captained the United States of America famously receiving the Freedom of the Town during the trip, although his team ended up losing a play-off to Australia for the title. The WATC will be played over Carton House’s two golf courses and will be hosted by the Golfing Union of Ireland and Irish Ladies Golf Union. The Montgomerie is a par 72 inland-links course which measures 7,301 yards from the championship tees. The nines are relatively similar in length and follow the standard configuration with two par 3’s and two par 5’s on each side. It hosted the Irish Open Championship on the European Tour in 2005, 2006 and 2013. The O’Meara is a par 73 parkland course which measures 7,165 yards from the championship tees. Again the two nines are similar in length, albeit the front nine includes three par 5’s. 72 teams are competing in the 2018 WATC. The three players from each team play 72 holes of stroke play over four days. The two lowest rounds recorded on each day count towards the team’s total score. Players in the leading three teams receive gold, silver and bronze medals. Whilst individual results are reported and the player with the lowest score is recognised at the closing ceremony there is no prize awarded for the honour. Good luck to all of the home nation teams competing in Ireland this week. Whilst there are 72 teams competing at the 2018 WATC just ten have a chance of a medal in my opinion. The U.S.A. will be represented by Cole HAMMER (SPWAR #6), Colin MORIKAWA (#2) and Justin SUH (#10). The ‘undisputed’ World No. 1 Braden THORNBERRY has either not be selected or declined the opportunity to travel to Ireland. Jovan REBULA and Victor HOVLAND, the 2018 Amateur and U.S. Amateur champions, are in action for South Africa and Norway respectively. The choice of France in 2022 was something of a surprise as the WATC was scheduled to be played in the Americas based on the rotation system that has been in place. From 2024 due to escalating costs the WATC will be staged at a single course with the field reduced accordingly. It is expected a new qualifying competition for the smaller and newer golfing nations will be established ahead of this Championship. AUSTRALIA won the 2016 World Amateur Team Championship in Mayakoba, Mexico by a massive 19-shots. The team of Cameron DAVIS, Harrison ENDYCOTT and Curtis LUCK equalled the 72 hole scoring record of 534 (-38). It was the fourth time Australia had won the Eisenhower Trophy, following victories in 1958, 1966 and 1996. ENGLAND (-19) collected the silver medal with AUSTRIA and IRELAND (-18) sharing bronze. Alfie PLANT holed a 9-foot birdie putt on the last to secure second place for England. The Irish team appeared to have second sown up but a double bogey from Jack HUME (68) and a bogey from Stuart GREHAN (72) on the 18th, in their two counting rounds, ended up costing them dear. It was the first time that both ENGLAND and IRELAND had medalled since the home nations started competing individually rather than under the Great Britain & Ireland banner. SCOTLAND (-11) finished in a disappointing 11th place given the strong team they put out and particularly after holding the Round 1 lead when they posted a -10 score. WALES finished in tied 16th. David BOOTE (-9) was their mainstay but he was supported well by Owen EDWARDS and Joshua DAVIES, both of whom provided two scores over the Championship. AUSTRALIA’s Cameron DAVIS (269 / -17) recorded the Championship’s lowest individual score. His compatriot Curtis LUCK (271 / -15) finished second, helped in no small part by a superb 63 (-9) in the third round. The United States of America, represented by Bryson DECHAMBEAU, Beau HOSSLER and Denny MCCARTHY won the 2014 Eisenhower Trophy in Karuizawa, Japan. The U.S. team set a new record score of 534 (-38). In 2014 Spain’s Jon RAHM won the Individual with a record breaking 263 (-23) total. The Continent of Europe beat Great Britain and Ireland (GB&I) 15.5 – 9.5 in the 32nd St. Andrews Trophy match played this year at Linna Golf in Finland. This was just the sixth time Europe had won the match and the 6 point margin represented their biggest ever victory. Prior to this year their best win had come in 1982 when they won 14.5 – 9.5 at Rosendaelsche G.C. in Netherlands. GB&I entered the final day leading 7 – 5 but were comprehensively outplayed by an inspired European team who won the Day 2 games 10.5 – 2.5. Europe won the morning Foursomes 3 – 1 to leave the match tied at 8 points each and in theory to perfectly set up the afternoon series of Singles where all eighteen players would be in action. Unfortunately GB&I were thrashed 7.5 – 1.5 in the Singles. Matthew JORDAN (ENG) won his match and Mitch WAITE (ENG) secured a late half. It is difficult to put a positive spin on this result for GB&I given that Europe were ‘missing’ at least five of what I would consider to be their potential first team. A number of Europe’s leading players chose to play in this week’s Porsche European Open on the European Tour or to return early to the Unites States in the run up to the U.S. Amateur. I can’t criticise the GB&I selection as I picked exactly the same team independently before the match started. They were simply outplayed on the final day. Coming a year after the 19 – 7 record breaking thrashing at the hands of the United States in the Walker Cup GB&I have just over 400 days to find a team ready to face them again at Royal Liverpool in September 2019. Looking at the individual performances Matias HONKALA (FIN) was the star man for Europe winning all four of his matches. Stefano MAZZOLI (ITA) didn’t play in the Day 1 Singles but won all three of the other matches he was selected for. Matthew JORDAN (ENG) was comfortably GB&I’s star man winning three of his four games. The Continent of Europe’s captain Yves HOFSTETTER will be pleased with the changes he made to his pairings on Day 2 as the home side ran out 3 – 1 winners in the morning Foursomes. Thankfuly for Great Britain & Ireland, who looked like they were heading for a clean sweep of losses after 9 holes, the Irish pairing of Robin DAWSON and John MURPHY battled back well to secure a 2 hole win in Game 2. Unfortunately our other pairings were all well beaten in the series (see below). Great Britain & Ireland (GB&I) lead the Continent of Europe 7 – 5 after Day 1 of the 32nd St. Andrews Trophy match in Finland. English pair Matthew JORDAN and Gian-Marco PETROZZI are unbeaten for GB&I having won their foursomes match this morning before winning their individual Singles this afternoon. Home favourite Matias HONKALA is the only European player to have a 100% unblemished record so far. Nick POPPLETON (ENG) and Stefano MAZZOLI (ITA) were both part of winning partnerships in the morning but were stood down for the afternoon Singles. Earlier today The R&A confirmed that the 2020 St. Andrews Trophy match will be played at Royal Porthcawl G.C. in South Wales. The 32nd St. Andrews Trophy match will be contested on Thursday 26th and Friday 27th July at Linna Golf in Finland. This amateur men’s team match has been played biennially between Great Britain & Ireland (GB&I) and the Continent of Europe since 1956. It was originally established by The R&A to give more European players the chance to play at the highest level and GB&I players more team match play experience for the Walker Cup which is held in alternate years with this competition. The St. Andrews Trophy was put forward for the match by the Royal and Ancient G.C. of St. Andrews in 1963. Each team has nine players. The golfing calendar is extremely busy at this time of year and therefore player availability may be impacted by other opportunities. The 2018 St. Andrews Trophy clashes with the Porsche European Open (European Tour, 26-29 July), Euram Bank Open in Austria (Challenge Tour, 26-29 July), German International Amateur (Europe, 26-29 July), Pacific Coast Amateur (U.S., 24-27 July) and to a lesser degree the Western Amateur Championship (U.S., 30 July-4 August). Yves HOFSTETTER (Switzerland) will once again be the Non-Playing Captain of the European team. His team was announced by the European Golf Association (E.G.A.) on 11th July and is listed below. Each player’s nationality, their SPWAR’s and their SPWAR Regional Ranking on the date of selection is also provided. * replaced Falko HANISCH – Germany #586 (106th) who withdrew on 24th July 2018. Home players Matias HONKALA and Sami VALIMAKI were both in the Finnish team who yesterday won the 2018 European Men’s Amateur Team Championship. It is disappointing that just 3 of the team were in the SPWAR’s Continent of Europe Top 9 on the date of selection. The most obvious ‘missing persons’ include John AXELSEN (Denmark), Oliver GILLBERG (Sweden), 2018 European Amateur Championship Nicolai HOJGAARD (Denmark), Rasmus HOJGAARD (Denmark), Viktor HOVLAND (Norway), Hurly LONG (Germany), Victor PASTOR (Spain) and Kristoffer REITAN (Norway). The R&A Selection Committee, including Non-Playing Captain Craig WATSON (Scotland), announced their nine man team on 16th July. Each player’s nationality, their SPWAR’s and their SPWAR Regional Ranking on the date of selection is also provided. Unlike the European Team above it is hard to argue with The R&A’s GB&I team or feel disappointed with the players that have not made themselves available. Indeed I selected the same team on 15th July (when this article was first published), explaining how I came to it in the Appendix below. The St. Andrews Trophy is played over two days and consists of match play foursomes and singles matches. The additional Singles on Day 2 was first played in 2016. With a maximum total of 25 points available and one point awarded for each match a team will be required to accumulate 13 points to secure victory. GB&I can of course retain the Trophy by reaching 12.5 points as they did in 2016. Linna Golf is a luxury golf resort located in the Vanajanlinna area of Hämeenlinna in Southern Finland. Linna is around 60 miles north of the capital city Helsinki. The course was designed by European Golf Design and Tim Lobb and opened for play in 2005. It is a hilly parkland course routed through a pine and birch forest. Three lakes and elevated, well protected and quick undulating greens make Linna a challenge from the back tees. From these Championship Tees the course can be stretched to 7,244 yards. The front 9 is 3,541 yards long with a par of 35 (one par 5) and the back 9 3,703 yards with a par of 37 (three par 5’s). However, previous major events have seen the nines switched and I expect this to be the case again at the forthcoming St. Andrews Trophy match. Linna is consistently ranked as one of the best courses in Finland, normally alongside the two courses at Kytäjä. It has previously hosted European Challenge Tour (2009) and Staysure Senior (2017) events as well as the 2010 European Amateur Championship. A part of the European Tour Properties chain it is expected to host a European Tour event in due course. Thur 26th July – Sunny. Wind 8mph E. Temp. Max. 25°C / Min 16°C. Fri 27th July – Sunny. Wind 8mph E. Temp. Max. 25°C / Min 16°C. GB&I fought back bravely to draw the 2016 match at Prince’s Golf Club in Kent, England 12.5-12.5 and thus retain the St. Andrews Trophy they had won in Sweden in 2014. GB&I lost the opening morning’s Foursomes series 0-4 and entered Day 2 4-8 down after halving the eight Day 1 Singles. GB&I won the Day 2 Foursomes 3.5-1.5 before securing sufficient points in the final Singles series to clawback the deficit. Wales’ David BOOTE secured the all important point in the last game still out on the links. 2016 was the first time the match had been halved. This arguably represents another win for GB&I but I have excluded it from the above numbers. Europe have won only once on GB&I soil in the history of the match, at Portmarnock GC in 2012. Nobody who follows GolfBible will be surprised to learn that my primary reference point for selection is the latest Scratch Players World Amateur Ranking (SPWAR). I personally wouldn’t bother but for completeness others may want to cast an eye over the World Amateur Golf Rankings. Next I would want to look at current form. Obviously this is fully reflected in the SPWAR (but not so well in the WAGR) but specifically we have a perfect last (team match play) event to also consider. Accepting England’s strength in depth the first thing to say here is if a player isn’t being picked for their 6-man National Team last week why should I pick them for a GB&I Team this week. That’s obviously not good news for original St. Andrews Trophy Squad members Alex FITZPATRICK, Calum FYFE, Harry HALL, Ben JONES, Sam LOCKE, Billy MCKENZIE, Robin WILLIAMS and Andrew WILSON. All have had their moments in the critical recent months but perhaps haven’t shone to the same degree as some of their peers. The above rule is of course only true if the teams for the European Men’s were picked well ! In the case of Ireland I feel Conor PURCELL was an unlucky omission. Conor’s strong end of season form in the U.S. was initially ignored by the Irish selectors before he then emphasised the point by having a great Amateur. Immediately after the team announcements in July Conor backed his form up with an excellent European Amateur Championships. In the European Men’s Team Championship in Germany England finished 2nd, Scotland 8th and Ireland 10th in Germany. Wales played in Division 2. Therefore I see no reason for England not to dominate my selection. This benefits Nick POPPLETON who was selected for England on the back of his Brabazon Trophy win and who played his part for England last week. Finally, I have looked back at the 20 man St Andrews Trophy Match Squad announced by The R&A on 14thMay 2018 to ensure no one has slipped through the net. In early June Nick POPPLETON (England), who had just won the Brabazon Trophy, was added to the Squad ahead of a planned gathering at St. Andrews prior to the St. Andrews Links Trophy event. There were 11 English players, 6 Scottish, 4 Irish and 0 Welsh players selected by the R&A. Unfortunately I could find no justification for any Scottish or Welsh players in this team other than a desire to see representation from as many home nations as possible. Throughout the year I analyse the two main amateur golf rankings to help us assess the performances of Great Britain and Ireland’s leading players. This information is maintained on the Rankings page of the GolfBible website and is updated quarterly. This is a short note to subscribers to flag up that the latest update covering the June 2018 Quarter period has been added. I also select a Player of the Quarter. For Quarter 2 2018 I have chosen England’s Mitch WAITE. Mitch won the Hampshire Salver in April and has subsequently put together a superb run of results throughout the whole period. Nicolai HOJGAARD (DEN) won the 2018 European Amateur Championship at Royal Hague today. A final round 73 (+1), which included a double bogey 7 on the 18th, was good enough for a 281 (-7) total and a 1 shot win. The victory comes with an exemption to the 2018 Open Championship to be played at Carnoustie Golf Links in three weeks time. Norwegians Viktor HOVLAND and Kristoffer REITAN both recorded best of the day 67’s (-5) in Round 4 to finish the event strongly. Hovland finished tied 2nd on 282 (-6) alongside Robin DAWSON (IRE), who himself shot a 68 (-4) today, Jerry JI (NED) and Mitch WAITE (ENG). In accordance with the competition rules Dawson and Ji won the silver and bronze medals based on a 36, then 18, hole count back. Dawson’s compatriots Conor PURCELL and Rowan LESTER also finished the Championship well and can be pleased with their 6th and tied 7th place finishes respectively. Nicolai HOJGAARD (DEN) leads the European Amateur after 54 holes with a 208 (-8) total. The 17 year old identical twin of Rasmus (who is tied 15th) shot a 68 today. A number of British players moved nicely into position on Friday. Mitch WAITE (ENG) also shot 68 to move into sole second on -7 and Jack GAUNT (ENG) a bogey free 69 to start Day 4 in tied 3rd on -5. Matthew JORDAN (ENG) 69, Euan WALKER (SCO) 70 and Tom SLOMAN (ENG) 72 all finished their third rounds strongly to end the day on -3, tied 8th. Irish trio Conor PURCELL, Robin DAWSON and Rowan LESTER all recorded 71’s and are now tied 15th on -2. Dawson and Lester are paired together tomorrow at 11.20am so will hopefully drive each other on to good finishes. 63 players, including 17 from GB&I, made the top 60 and ties cut which fell at 220 (+3). Mark POWER (IRE), Joe PAGDIN (ENG) and BEN HUTCHINSON (ENG) were amongst the 8 players who just missed out on +4. It was particularly hard on both Power, who had fought back well from a first round 79, and 16 year old Pagdin who shot a brave 69 in Round 3. Australia’s Charlie DANN went out in a blaze of glory recording a 67, the best round of the day. Unfortunately it could only lift him to +5 for the Championship and hence he still missed the cut by two shots. Whilst Thursday was hot and sunny throughout unfortunately it proved to be a day of two halves with regard to the wind. This morning saw wind speeds of 10mph but this afternoon they were generally stronger gusting up to 30mph. Inevitably this had an impact on the scoring. The first 72 players out today, teeing off between 7.00am and 11.17am (local time), had an average score of 72.39. The next 72, teeing off between 11.32pm and 3.49pm, were 1.47 shots higher at 73.86. Blake WINDRED (AUS) finished with 4 birdies in his last 6 holes to post his second 69. He leads on 138 (-6) from overnight leader Perry COHEN (SUI) whose even par 72 left him on 139 (-5). Giovanni TADIOTTO (BEL) bounced back from a first round 80 with a 66, the best of the week so far. He finished the day tied 51st nicely within the top 60 cut line which will be applied tomorrow. Mitch WAITE (ENG) and Tom SLOMAN (ENG) who have been pretty inseparable in recent weeks both shots 69’s to move up to tied 5th on 141 (-4). Jack GAUNT (ENG) is the only other home player in the top 10. He produced a good 72 playing late this afternoon to stay on -2 and tied 8th. Andrew WILSON (ENG) produced the best GB&I round of the day with a 68 (he’s T19). Conor PURCELL (IRE) had a 69 (also T19), notable as he is the first player to deliver a bogey free round in the Championship to date. Switzerland’s American-based Perry COHEN leads the European Amateur at the end of Round 1 after a superb 67 (-5). After bogeying the 1st hole the recent graduate of St. Mary’s California University produced an unblemished round featuring three birdies on each side. Jack GAUNT (ENG), Alex GLEESON (IRE), Rowan LESTER (IRE) and Tom PLUMB (ENG) were the best of the 36 Great British and Irish players competing at Royal Hague. Their 70’s (-2) represented a very creditable start to this prestigious amateur event. Gleeson had more birdies (7) than any other player in the field in Round 1 and will clearly have been disappointed to tarnish a great day with a double bogey 7 on the home hole. Robin DAWSON (IRE), Bailey GILL (ENG) and Nicholas POPPLETON (ENG) are also under par for the championship after shooting 71 (-1) today. Congratulations to Alexander HERRMANN (GER) who recorded a hole-in-one on the par 3 12th in his round of 69. The average score on Day 1 was 74.39 (+2.39) so anything around par represented a solid start. The field of 144 players will be cut to the top 60 and ties after 54 holes so there is still lots to play for. The 31st International European Amateur Championship starts tomorrow at Royal Hague Golf & Country Club in Netherlands. This prestigious Championship is run by the European Golf Association (EGA), assisted each year by the host nation; this year, the Royal Netherlands Golf Federation. The European Amateur is a 72-hole stroke play competition. 18-holes are played daily over four days. A cut will take place after 54 holes with the 60 lowest scores and ties qualifying for the final round on Saturday 30th June. A 3 hole aggregate score play off will decide the winner in the event of a tie. If this doesn’t separate the players then a sudden death play-off will commence over the same holes. Exemptions were also available to the defending champion, a single nomination from each EGA member nation, four nominated players from the host nation, Netherlands, competitors in the most recent Bonallack Trophy, St. Andrew’s Trophy and Jacques Léglise Trophy matches, the 2018 South American Amateur champion and the 2018 European Mid-Amateur champion. Most of the leading European and Great Britain and Irish (GB&I) players will be on show. There are 36 GB&I players in total competition at Royal Hague. There are 17 of the current Scratch Players World Amateur Ranking’s Top 100 competing. These are Viktor HOVLAND (NOR) #7, Matthew JORDAN (ENG) #11, Robin DAWSON #16, Lorenzo SCALISE (ITA) #30, Frederik NILEHN (SWE) #35, Kristoffer REITAN (NOR) #41, Mitch WAITE (ENG) #52, Ryan LUMSDEN (SCO) #56, David HAGUE (ENG) #71, Stefano MAZZOLI (ITA) #66, TOM SLOMAN (ENG) #79, Gian-Marco PETROZZI (ENG) #82, Alex GLEESON #86, Victor PASTOR (ESP) #87, Conor PURCELL (IRE) #92, Laird SHEPHERD (ENG) #93 and Shae WOOLS-COBB (AUS) #100. Stefano Mazzoli is a past champion having won the event at Penati Golf Resort in Slovakia in 2015. I will be providing a short report after each day’s play on this webpage throughout the Championship. The 2018 Championship is being staged at Koninklijke Haagsche Golf & Country Club in Wassenaar, Netherlands. Better known to us in English as Royal Hague. It is generally acknowledged to be the best course in Netherlands and one of the most challenging in Europe. Founded in April 1893 the Club is celebrating it’s 125th anniversary this year. The current course was designed by Englishmen C. Hugh Alison and Harry Colt and opened for play in 1939. Since 2008 Dutch architect Frank Pont has been engaged on an extensive course restoration project. He has reviewed all of the greens, bunkers and tees greatly improving Royal Hague’s playability and presentation. Located on the famous strip of Dutch links land, just north of The Hague city centre, the course lies a couple of miles inland from the North Sea. Uneven stances on an undulating dune landscape, with a few blind shots thrown in, are very much the order of the day here. A standard par 72 championship course it stretches to 6,844 yards with two very even nines. It is going to play firm and fast this week albeit I understand the upturned saucer greens have been watered and are therefore holding well struck approach shots. A hot and sunny week is forecast for Northern Europe and conditions should be very good over the four competition days. Winds tend to increase in speed here as the day goes on. Weds 27th June – Sunny. Wind 15 mph (NNE). Max. 23°C / Min 14°C. Thurs 28th June – Sunny. Wind 17 mph (NNE). Max. 24°C / Min 14°C. Fri 29th June – Sunny. Wind 20 mph (NNE). Max. 23°C / Min 13°C. Sat 30th June – Sunny. Wind 16 mph (NNE). Max. 24°C / Min 16°C. More importantly the champion receives an exemption into this year’s Open Championship at Carnoustie Golf Links in Angus, Scotland. Last year Alfie Plant used his exemption to go on and win the low amateur Silver Medal at Royal Birkdale G.C. England’s Alfie PLANT won the 2017 European Amateur Championship on the Old Course at Walton Heath Golf Club in England. Alfie overcame Italian duo Luca CIANCHETTI and Lorenzo SCALISE on the fifth play-off hole after all three had tied on -15 for the 72 holes of stroke play. Luca had won the 2016 European Amateur in Estonia after seven play-off holes with Norway’s Victor HOVLAND so a trend appears to be developing. The competition was first contested in 1986 at Eindhoven G.C. Initially it was held biennially before moving to an annual fixture from 1990. 2018 will be the second occasion the Netherlands have hosted it. It has been held in 18 different countries in total. In addition to Gallacher and McIlroy other GB&I past winners include Jim PAYNE (1991), Paddy GRIBBEN (1998), Stephen BROWNE (2001), Brian MCELHINNEY (2003), Matthew RICHARDSON (2004), Rhys PUGH (2012) and Ashley CHESTERS (2013 and 2014) and Alfie PLANT (2017). Ashley Chesters is the only two-time winner and the only player to have retained the trophy. Matthew Jordan (ENG) today added the 2018 Lytham Trophy to his impressive amateur golfing c.v. after a superb day’s play from him on the challenging Lancashire links. He started the day with a two shot lead and went on to finish the event with a 9-shot victory. Recording rounds of 67, 69, 70 and 66 – not one of over par – for a 272 total (-8) over three days takes some doing. His nerveless final round of 66 was also the best of the day. The win initially moved Matthew to 12th in the SPWAR but this quickly became 11th when Dawson Armstrong (USA) announced he was turning pro. He and Todd Clements (18th) are now GB&I’s, and for that matter Europe’s, leading amateur golfers. Backing up his recent Hampshire Salver win Mitch Waite (ENG) finished 2nd with a 281 (+1) total. Sam Locke (SCO) and David Nyfjall (SWE) finished tied 3rd with a 284 (+4) score. Sam delivered a great 67 in the final round to record the best result of his career to date. Tom Plumb (ENG) matched Sam’s 67 to finish 5th on 285 (+5). Todd Clements (ENG) shot a 68 and Ben Chamberlain (WAL) a 69 on the final afternoon to finish 6th (286 +6) and 7th (287 +7) respectively. Whilst achieved in completely different manners the three leading players Matthew Jordan (ENG), Mitch Waite (ENG) and David Nyfjall (SWE) all shot even par 70’s in the third round to keep the competition very much alive. The best scores in round 3 came from Andrew Wilson (ENG) and Tiarnan McLarnon (IRE) who both recorded 69’s. Matthew Jordan (ENG) shot a 69 in round 2 of the Lytham Trophy. His 136 total (67 69 / -4) leaves him two shots ahead of the field with 36 holes to be played tomorrow. Mitch Waite (ENG), winner of the Hampshire Salver a few weeks ago, shot the round of the day matching Billy McKenzie’s 66 from yesterday. This lifted him into 2nd place which he shares with Sweden’s David Nyfjall, who recorded a second 69. 49 players on +7 or better made the top 40 and ties cut. The Round 2 CSS of 76 was the same as on Day 1. Play will start at 7.00am tomorrow with the leading group teeing off in their 3rd and 4th rounds at 10.12am and 3.15pm respectively. Billy McKenzie (ENG), winner of the Spanish International Amateur in early March, leads the Lytham Trophy after Round 1. With playing conditions forecast to be good all weekend lower scoring than normal was expected around the tough Royal Lytham course. Billy didn’t disappoint. He teed off at 8.30am and his 66 (-4) set an impressive early target which from the outset looked like it may hold up all day. To put it in context the CSS for the round was 76 and the lowest round in the whole 2017 competition was a 68 (-2), which Jack Singh Bear also recorded in Round 1. Matthew Jordan (ENG) is one shot back after a 67 (-3). In a very steady round birdies on 6, 8, 11 and 13 were offset by a single bogey on the difficult 15th, a par 4 playing 464 yards. Tied for third are Robin Williams (ENG), Sam Locke (SCO) and John Brady (IRE) all of whom posted 68’s (-2). After 18 holes tied 40th place is occupied by 11 players on +3. With warmer weather forecast for today scores should be similar to Day 1 and therefore the cut will probably be in the region of +6. The 2018 Lytham Trophy will be played on 4th, 5th and 6th May at Royal Lytham & St. Annes G.C. It is the first major event in the Great Britain and Ireland (GB&I) men’s amateur golf season. In 2017 the Scratch Players World Amateur Ranking (SPWAR) placed it 18th in it’s list of worldwide amateur competitions based on field strength. It normally ranks 3rd in GB&I behind the Amateur Championship and the St. Andrews Links Trophy. Coming early in the season it misses out on European players competing for U.S. colleges. The famous Royal Lytham links course certainly presents a stern test. Playing off the blue championship tees competitors have to meet a 7,118 yard par 70 challenge; the front nine being 3,437 yards, a par 34, and the back nine being 3,681 yards, a par 36. Like The Open Championship players will tee off between 7.30am and 3.40pm on the Friday and Saturday so changes in the weather and wind speeds throughout the first two days often play a big part in scoring. 144 scratch golfers from 15 diffrent countries will tee off in what will be the 54th playing of this prestigious competition. In the event of a tie for the lowest score there is a 3-hole stroke play play-off on holes 1, 2 and 18. If a winner still hasn’t been determined then the play-off moves to sudden death over the same holes. The Winner receives a silver replica of the Lytham Trophy, both of which are shown below. Most of GB&I’s leading amateur golfers will be competing. Matt has been building an impressive resume over the last 3 years without delivering a big win. He is currently the highest ranked player in the field. Arrives in the UK on the back of two very solid season’s back home. The 2017 English Amateur champion has recently finished 2nd in the Sunshine Tour Qualifying School and 1st in the European Nations Cup Individual. He is now GB&I’s No. 1 amateur golfer. A prolific winner of junior events in South Africa in recent years as well as winner of the Western Province Open Amateur last week. He could very easily be the next Thriston Lawrence (Lytham Trophy 2015) or Kyle McClatchie (Brabazon Trophy 2017). Finished tied 7th last year before embarking on a great run of form that led to his selection for the 2017 Walker Cup team. A superb win at the 2018 South African Amateur followed up with another at the All Africa Junior Challenge will see Deon arrive in the UK full of confidence. Now established as one of GB&I’s leading players Gian-Marco won the Welsh Open Amateur in 2017 and the New South Wales Amateur in Australia earlier this year. He was tied 2nd in the European Nations Cup Individual at Sotogrande last weekend. Won the Lagonda Trophy and North of England Open Amateur in 2017 and has become an important member of the England Men’s Squad in 2018. 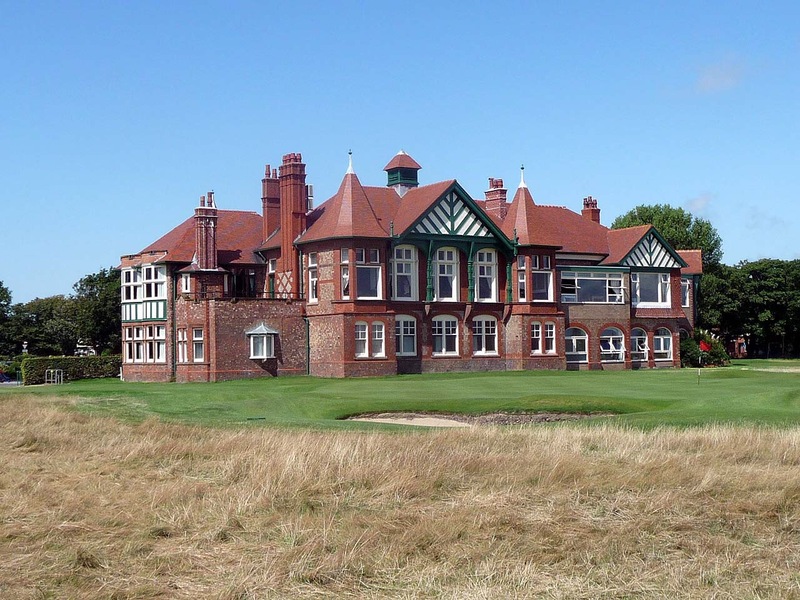 The medalist at last year’s Amateur Championship has finished tied 21st and tied 7th at the last two Lytham Trophies. I am sure he has a big win coming. After a good playing trip to South Africa Alex is finding form at the right time. He arrives having recently reached the final of the West of Ireland and having finished tied 2nd in the European Nations Cup Individual. Like Alex Robin played well in South Africa and will now be looking for some big performances back home to secure a place in GB&I’s St. Andrews Trophy Team. Won the Cape Province Open earlier this year. Winner of the U18 Duke of York at nearby Royal Liverpool GC last year and tied 2nd at the Portuguese International Amateur a few weeks ago. Saunton’s Jake finished 3rd at Lytham last year and was recently medalist in the Spanish International Amateur. Laird has dominated British University golf this season and has a number of good results on links courses under his belt in recent years. Winner of the 2018 Spanish International Amateur at La Manga. Recent winner of the Selborne Salver and shared winner of the West of England Amateur at Royal North Devon this weekend. Mitch recently won the Hampshire Hog and Hampshire Salver competitions. His tied 4th place at the 2017 Irish Amateur Open, played at Royal County Down G.C., suggests he has the skills and strategy to cope with the toughest of layouts. The latest weather forecast (as at Thursday 3rd May) looks great for all three competition days – sunny with no more than a gentle breeze blowing. Fri 4th May – Cloudy / Wind 9 mph W / Temp. Min. 8°C / Max. 14°C. Sat 5th May – Sunny Intervals / Wind 8 mph SW / Temp. Min. 7°C / Min 16°C. Sun 6th May – Sunny Intervals / Wind 8 mph SSW / Temp. Min. 9°C / Max. 19°C. Two in form players at the time ran the Hampshire man close; Charlie STRICKLAND finishing second and Jake BURNAGE third.